In need of a secure connection for your Internet business? 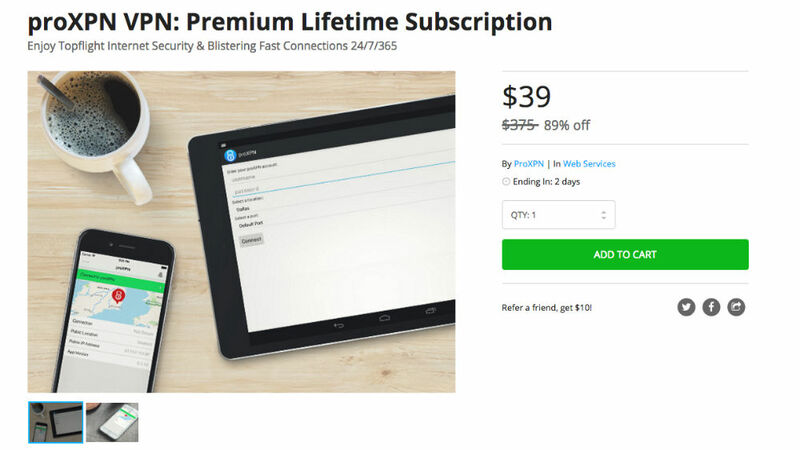 Well, over on the DL Deals Store, you can grab a premium lifetime subscription to proXPN VPN for just $39, down from its advertised price of $375. proXPN VPN features unlimited traffic bandwidth, plus worldwide access thanks a full-service network. If you find yourself on public WiFi spots, don’t worry, you will receive a masked IP address, plus encrypted browsing whenever you log on. The service features mobile device support, VPN Guard, PPTP and OpenVPN encryption options, plus a 512-bit Encryption Tunnel utilizing a 2048-bit Encryption Key. To check it out, follow the link below. Moto X Pure Edition Owners, Share Your Early Thoughts!